Simon Mignolet is guaranteed to start between the sticks due to Loris Karius’s wrist injury. Nathaniel Clyne is an automatic selection at right-back. With injuries at the back, we think it’s fair to suggest Dejan Lovren will definitely play. Emre Can is the first-choice holding midfielder and pre-season suggests Coutinho and Sadio Mane will play from the flanks. With Mamadou Sakh and Joe Gomez injured, Joel Matip faces a race against time to be ready for selection alongside Lovren. Ragnar Klavan has the role currently, but the Cameroonian was rated as the best defender in Germany last term and would hope to start if he’s fit. Veteran Estonian Klavan has done well during the summer, so you’d have to say that unless Matip faces Barcelona at the weekend, he won’t start at the Emirates. It doesn’t look like Klopp is bringing in a new left-back, meaning Alberto Moreno is the heavy favourite to play in this position. However, pre-season suggests vice-captain James Milner could be used as a utility fullback this term… The Englishman has a wonderful engine and can deliver balls into the box on his left or right-foot. In fact, many fans would far prefer him to the defensively shaky Spaniard. This is a tricky one… With Emre Can expected to be the starting central midfielder, Jordan Henderson, Marko Grujic, Gini Wijnaldum and maybe even Milner are all fighting for a spot alongside him. Both Hendo and £25m summer signing Wijnaldum have played in the double pivot over in America and are likely in a head to head right now – unless Klopp uses the 4-3-3 – when both could play either side of the young German. The no.10 spot is likely to be given to Roberto Firmino, but Adam Lallana has a viable chance of selection here and Winaldum’s an outside bet, too. 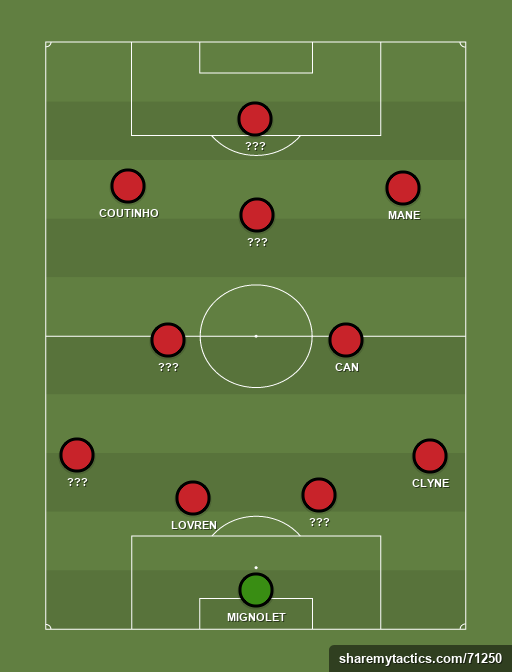 Coutinho and Mane have been used on the left and right throughout the summer, which is a big indication they’ll be given two of the attacking midfield spots in Klopp’s expected 4-2-3-1. The lone forward role is probably Daniel Sturridge’s, but Divock Origi was on fire against AC Milan last week and has an outside chance of selection, especially considering Klopp’s preference to use him during tricky away games last season. 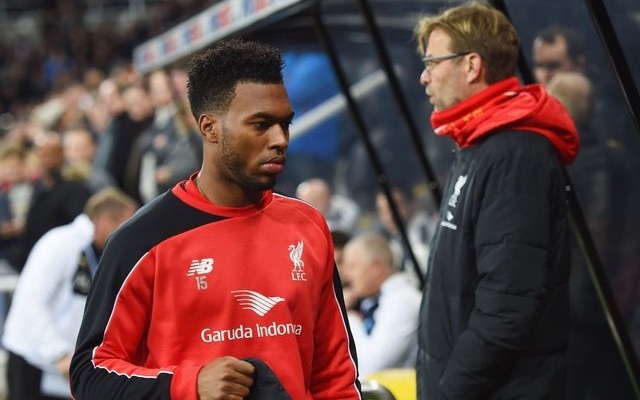 There’s also the possibility Firmino will play as a false-9, reducing both Sturridge and Origi to substitute roles.